Winners, please send mailing addresses to me at ewesner(at)gmail.com. If you didn’t win, you can pick the book up at Amazon, or find out more about it at the official website. Thanks to all who joined in, and a special thanks to Suzanne Woods Fisher and Mary Ann Kinsinger for the contest and interview. Congulations to everyone that just won the contest! Congrats to all the lucky winners. Enjoy the book. I decided to buy the Kindle version, and I have to admit that even though I’m far, far from childhood, I’m very much enjoying it. 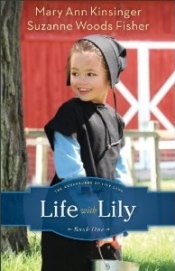 It’s a sweet book but also quite honest in its portrayal of people, both Amish and English. I’d say the authors have a definite winner on their hands!